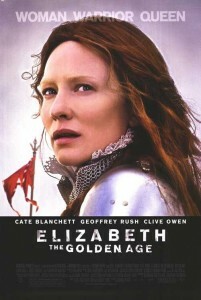 Director Sheikar Kapur ‘s historical sequel to Elizabeth is a lavish affair with a bigger budget and sees Cate Blanchett once again take on the role of Queen Elizabeth I in the Golden Age of the Renaissance and also the Voyages of Discovery. Featuring fabulous costumes and a great supporting cast including Geoffrey Rush, Clive Owen and Samantha Morton, Elizabeth: The Golden Age is a must for any enthusiast of period dramas. Joe Wright stunning adaptation of the Ian McEwan novel, Atonement about a thwarted love affair at the start of World War II makes for sumptuous cinema and a wonderfully told story. Beautifully acted with Keira Knightley and James McAvoy and Saorise Ronan stealing the show as the prying Bryony who breaks up a love affair and has to atone for her complicity. Watch out for the superb tracking shot on the Beaches of Northern France as the War reaches its height. 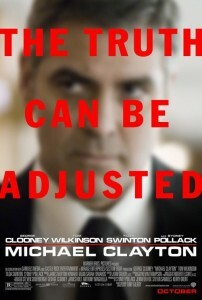 This superb corporate thriller focuses on a fixer with a gambling problem, Michael Clayton of the title, superbly played by George Clooney. Crisp cinematography by Robert Elswitt and mesmerizing performances by Tom Wilkinson and Tilda Swinton make Michael Clayton a must see. Swinton won an Oscar for Best Supporting Actress. 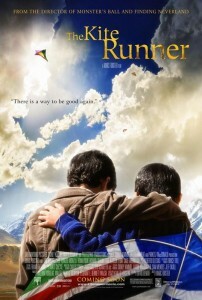 Gorgeously shot adaption of the novel by Khaled Hosseini about the friendship between two Afghan boys Amir and Hassan in 1970’s Kabul and a horrific incident which tears the friendship apart and disintegrates after the Russian invasion of Afghanistan. Shaun Toab stars as Amir. Following the trend of Elizabeth: The Golden Age and also influenced by the hit TV show The Tudors, Justin Chadwick’s lavish film version of the popular Elizabethan novel by Philippa Gregory is worth watching. Eric Bana is unfortunately miscast as King Henry VIII but it is worth watching for Scarlett Johanssen as Mary Boleyn and Natalie Portman’s performance as the doomed Anne Boleyn. This harsh tale of a Texas border drug deal gone horribly wrong and its bloody consequences is based on the sparse but brilliant novel by Cormac McCarthy. Winner of Best Picture and Best Director Oscars, No Country for Old Men is a superb and bloody thriller featuring a spine-chilling performance by Spanish Actor Javier Bardem as the assassin Chigurh, deservedly winning an Oscar for Best Supporting Actor. 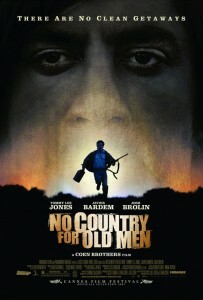 Tommy Lee Jones, Josh Brolin and Kelly Macdonald also star. Paul Schrader’s elegant tale of Carter Page II, a gay Washington socialite who gets embroiled in a scandal involving a senator’s wife. 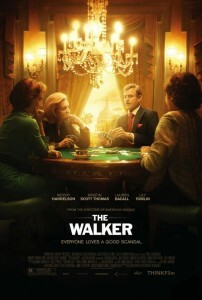 Woody Harrelson does a masterful turn as the vain Carter Page and there is some great supporting performances by Kristin Scott Thomas, Lauren Bacall and Lily Tomlin as the ruthless society leaders and wives of America’s political elite. Superbly directed by Paul Schrader. 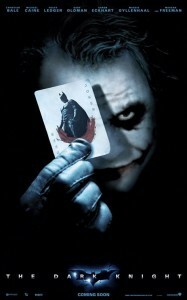 Christopher Nolan’s anarchistic sequel to Batman Begins is mind blowing to say the least made more poignant by Heath Ledger’s masterful performance as the twisted Joker terrorizing Gotham City. Ledger died unexpectedly six months before the films global release, making him only the second actor to won an Oscar posthumously for Best Supporting Actor at the 2009 Academy Awards. The Dark Knight is technically brilliant, with haunting action sequences and a great cast including Aaron Eckhart, Maggie Gyllenhaal, Michael Caine and Christian Bale as Bruce Wayne. Robert Downey Jnr resurrects himself in the commercial acting stakes taking on the part of superhero Iron Man with a great deal of panache and gusto, lifting this comic book tale to a celebrity smash hit film. 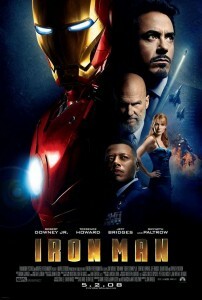 A great script and a wonderful supporting cast including Gwyneth Paltrow and Jeff Bridges makes Iron Man a commercial success and naturally fun to watch. 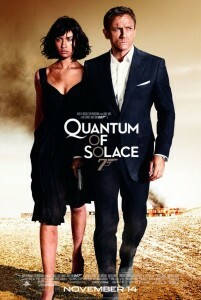 Director Marc Foster transforms Quantum of Solace in a sleek, action packed revenge-filled sequel to Casino Royale in which Bond hunts down the terrorist organization behind Vesper Lynd’s untimely demise in Venice. French actor Matthieu Amalric plays the villain Dominic Greene who is a behind a plot to destabilize Bolivia and its natural resources. Lots of fabulous locations from Europe to South America, great action sequences and a brief reference to Goldfinger make this 22nd Bond film stylish and unique. Daniel Craig returns as 007 and Olga Kurylenko plays the fiesty Bond girl, Camille.